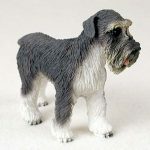 The beard-like hair on the muzzle is the highlight of this Schnauzer figurine. This smart breed is known for their "grandpa" appearance. 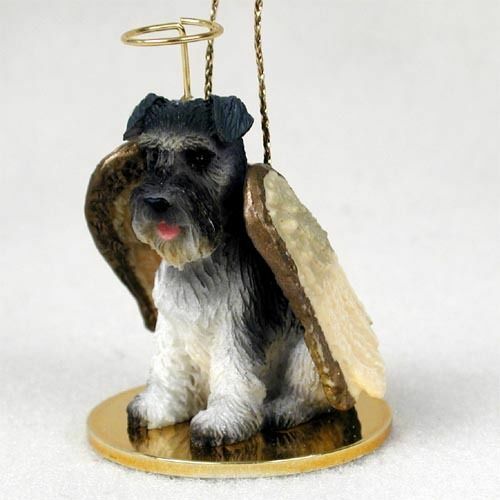 They have a wise, sophisticated look that is unique to the Schnauzer. 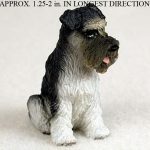 This is our gray coat color option, but we also have this figurine available with a solid black coat. Gray covers the majority of the body. White is seen on the chest, lower legs, and underbelly of the dog. 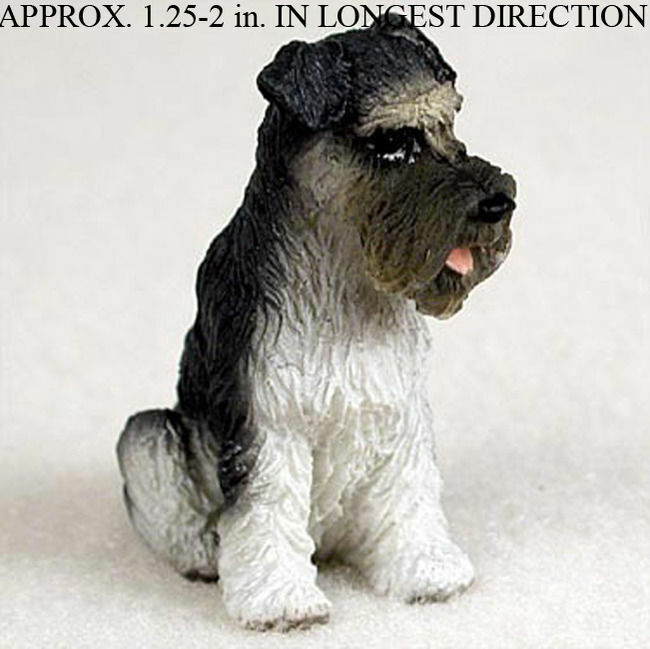 Shadings of dark gray, tan, and white are blended together to accent the face on this figurine. A nub tail can be seen on the rear of the dog. A light pink tongue hangs from the open mouth. 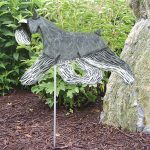 The offset legs show the spirited and sporty nature of this breed while also providing the figurine with stability. The ears are uncropped, or natural, but we also have this figurine available with cropped ears. 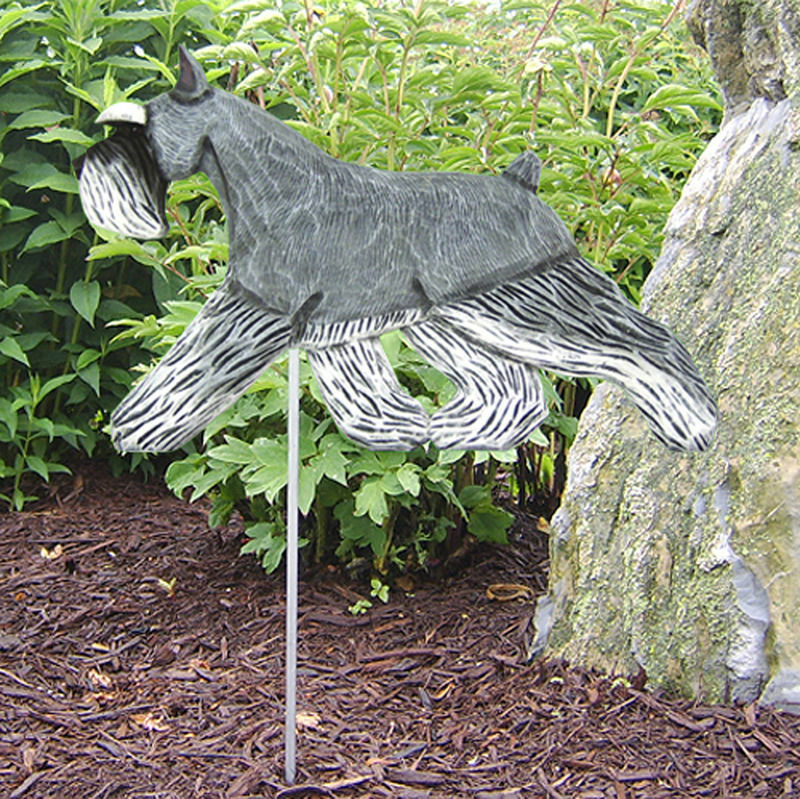 Lastly, the thick brows finish off the signature Schnauzer look.